IY: Silk Over Razor Blades – Available for Pre Order! Just a quicky today to say that the background gaff is absolutely, totally (finally) done! Digital versions of ‘Silk Over Razor Blades’ are now available for pre-order (!!!) and paperback versions will be available to purchase from 25 May. I’m super duper excited to the point that breathing is getting tricky, but it’s all looking good from this point on. Oh, and of course there is the pre-launch competition going on. Enter to win a paperback or digital copy of the book. See the picture below . . . ? You know what to do! 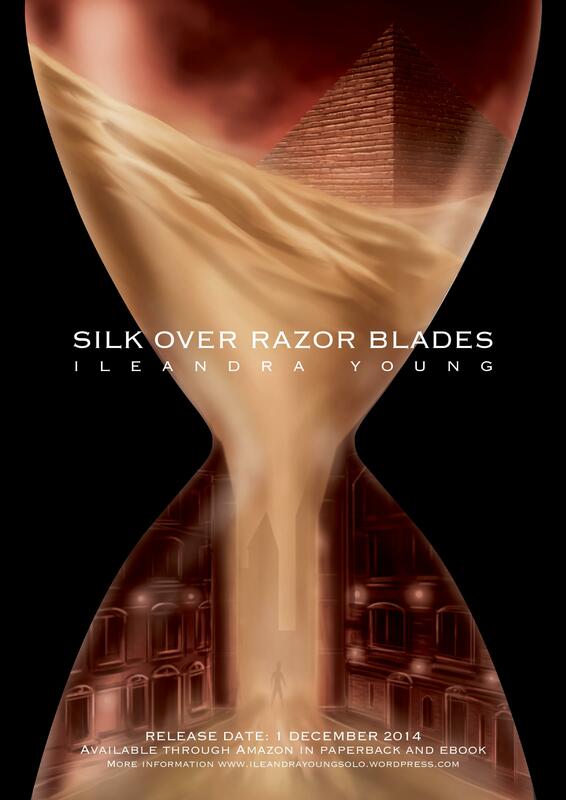 This entry was posted in Ileandra's Posts, Saar's Legacy, Silk Over Razor Blades and tagged free copies, give away, giving it away, Ileandra Young, new book release, poster, silk over razor blades. Bookmark the permalink.